World-renowned plastic surgeon Anthony Youn, MD, presents a ground-breaking book on how to look look younger, firmer and wrinkle-free without surgery or invasive treatments. You don't have to spend a lot of money or undergo painful or risky procedures to turn back the clock and fight ageing. This is good news for readers who want to look younger and enjoy firmer, wrinkle-free skin. 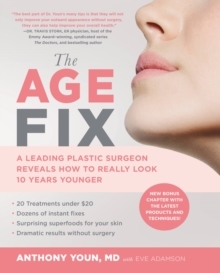 World-renowned plastic surgeon Anthony Youn has spent the past 16 years researching the secrets of plastic surgeons, dermatologists, makeup artists, and dietitians, and he's compiled solutions to every cosmetic ageing problem in this book. 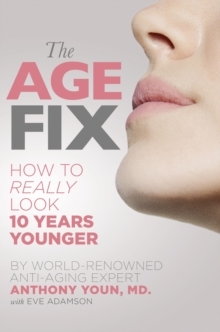 THE AGE FIX provides advice on how to help readers maintain youthful beauty, including a diet program that explains which foods can help you look younger and which foods are ageing. Filled with an abundance of actionable takeaways and insider advice, it will help readers reclaim their youthful glow without spending a fortune or going under the knife!